This cheerful little game is aimed at pre schoolers aged 3 and overs and is very easy to get the hang of. Best of all you only need one player, so this can be a great game for your toddler to play whilst you need to get a quick task done. 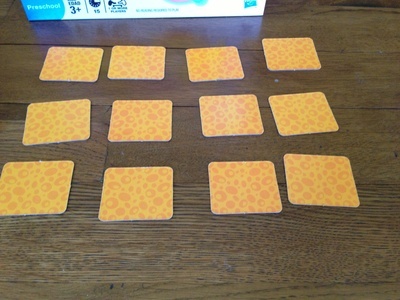 This simple game features 6 sets of 12 cards. 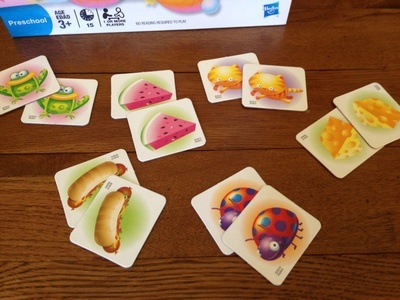 Each set (and you can mix them up as you wish) of cards is a round in this memory testing game; so you can play 6 rounds and then start all over again. You basically, get your round of cards, and put them face down as you like. You should try to be fairly random as you place the cards down so that pairs of cards aren't placed next to each other. The child then takes it in turns to turn over 2 cards at a time. If they pick 2 picture cards which are a pair, then these cards can be put to one side, until all the pairs are found. Only two cards at a time should be turned over, as the idea is that the child learns to memorise where they saw the different pictures. If you are playing with more than one player then each player takes turns, or you can use multiple sets of cards. 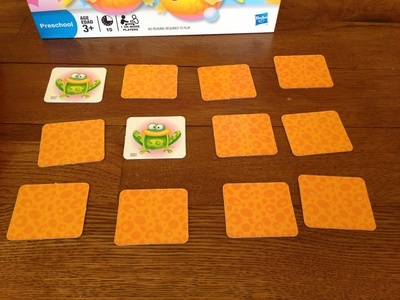 Instructions are not complex, and you can play with multiple players, and once your child has mastered the memory game with just 12 cards, you could use two sets of cards for one game to make it more of a challenge. This is also useful for when you have older kids playing. This game includes a holder for the 6 sets of cards, and features some lovely pictures which you can also be used to assist your child in visual recognition. The only downside I see from this game is that on the blank side of the card, it's just an orange pattern that gives you no way to tell if the card is the right way up. Very often you end up placing the cards upside down and you don't know this until the child turns the card over. A simple arrow on the card would have helped with this. 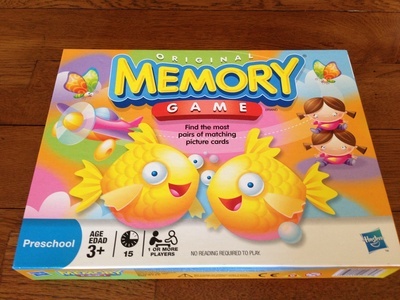 That aside, for less than $20 this is a game that will assist your child in fine tuning their memory skills and give them hours of fun at the same time. Look out for special edition memory card games from Hasbro featuring popular themes such as Cars, Disney Princesses and Shrek. I would rate as 8/10. Where is the best fish and chips in Perth?